$1.89 Winco WA-1221 3-Pocket Waist Apron 21-3/4" x 12"
Primarily used to protect clothes from spills and stains, the stylish and functional Chef Revival 605REV-BK Black Reversible Waist Apron also offers a sleek and professional look. 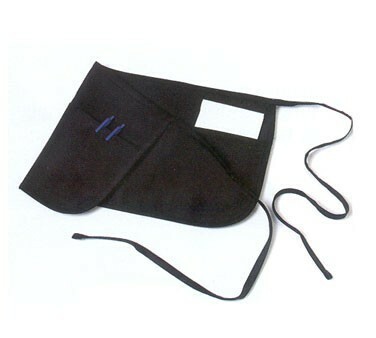 This reversible apron can be turned front-to-back to quickly present a clean surface and it has 3 pockets on each side for holding small items. Thanks to its poly-cotton blend fabric, this waist apron is exceptionally durable and will endure repeated washings.